This Fresh Tomato Salsa is tantalizingly refreshing and is amazing with corn tortilla chips or tacos. 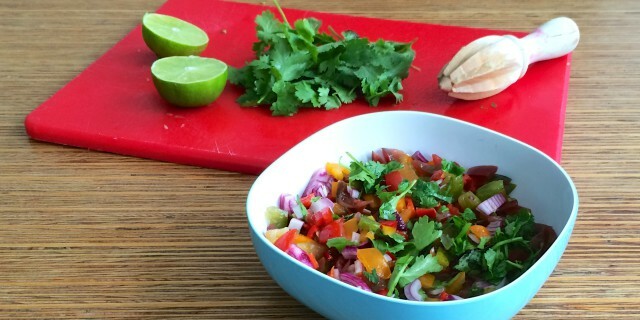 It’s based on a recipe for a fresh Mexican salad called Pico de Gallo. This recipe calls for wild baby tomatoes but you can use any tomato you like. I just love all the different colours flavours and textures of the wild tomatoes. It makes this salsa look even more bright and colourful. You can not go wrong with this recipe. It always tastes great and it takes very little time to make. Take it with you to the park for a picnic or barbecue or serve it with homemade tacos. 2 Responses to "Fresh Tomato Salsa"